At Impress!ve, they understand that every product, every company and every marketing campaign needs a unique approach. Where they need to get really creative is when they’re reaching across language-barriers for their customers. Whether you’re a company looking to branch out overseas or an Australian business wanting to reach non-English speakers in your local area, Impress!ve give us the lowdown on what to be aware of. 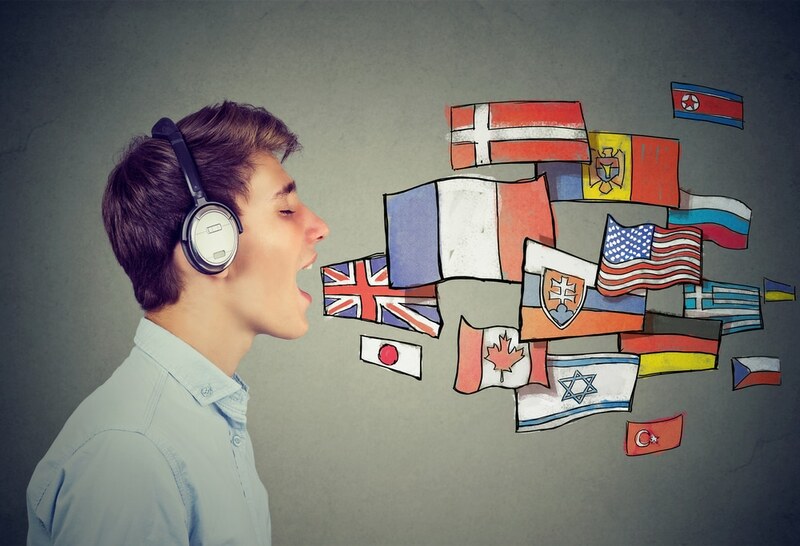 If you’re considering launching a multilingual SEO campaign, step away from Google Translate and read this blog before you do anything else. Any person with even the most basic SEO knowledge will tell you that a site’s structure has a significant impact on its rankings, for better or for worse. The need to get it right is even keener when developing a site for a multilingual audience, as smart site-structuring ensures that users can quickly find content in their preferred language. First off, we have to be specific about our goals. What a multilingual website means is one that is accessible to a broad range of people speaking a wide variety of languages. What it does not mean is a website that has been localised for different countries – that would be a multinational website. This difference is important, as Google makes a distinction between a website’s locality and its language. Using the hreflang attribute, webmasters can create pages intended for users from a specific country or from countries within a specific language group. After all, consider the difference between ‘people from Spain’ (one country) and ‘Spanish speakers’ (majority language in more than 20 countries). The two most common approaches to structuring a multilingual website are subfolders and subdomains. Make sure you’re structuring your multilingual website the right way. 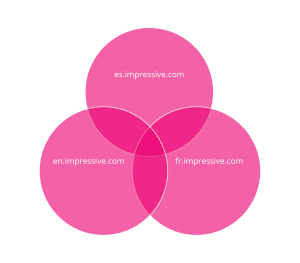 Google has stated in the past that it crawls, indexes and ranks the two identically, but remember that each subdomain must be separately bought and hosted, making subfolders the far simpler option. Additionally, building your multilingual site as a series of subfolders means the EN version of a page benefits from links sent to the FR version of a page. Surprise, surprise – people who speak different languages often lead different lives. Even if you’re targeting immigrants and non-English speakers within your own community, keep in mind that language and culture are inseparable. There may simply not be a nice, neat Spanish/French/Mandarin equivalent for every product and service you sell. A reverse example: the Japanese term shibui refers to a particular aesthetic of understated and subtle beauty. Defined by author James Michener as ‘acerbic good taste’, it can be applied to everything from pottery to styles of interior decoration, cameras, clothing, cars and even people. 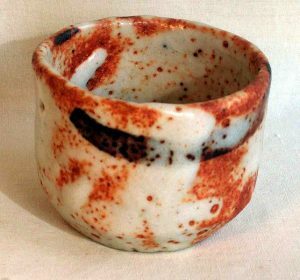 The irregular, colours, shape and texture of this sake cup would classify it as shibui, but in English we might call this ‘shabby chic’ Credit: DavidEarlYoung [Public domain], from Wikimedia Commons. If you were an importer of Japanese goods, how would you market a shibui item to your English-speaking audience? You don’t want your customers to have to crack open a dictionary just to find out what an ‘acerbic good taste sake cup’ is. The answer is: use a local equivalent. While the Japanese might call the above sake cup shibui, on crafty parts of the internet it would immediately be labelled ‘shabby chic’. While invented in the 1980s, ‘shabby chic’ has found new life in an age of Pinterest and Etsy. It refers to a particular style of interior decoration that evokes the feeling of walking into a long-inhabited and much-loved lounge room. Items will have visible signs of wear, won’t be matched to a room and will often have a handmade appearance. The style as a whole eschews modernity and mass production, instead finding beauty in the kind of damaged and faded items you’d most likely discover in your grandma’s home. While not a perfect translation – and requiring more than one word – ‘shabby chic’ gets the point across, highlighting the item’s understated beauty, rustic or distressed appearance and its rejection of smooth uniformity just as shibui does. Do the same for your product – work with people who are fluent in the language and understand the culture around it to determine how you’ll market your brand. Don’t confuse your users, get a proper translation for your website. According to the 2016 census, more than 500,000 Australians speak Mandarin at home. That number is only increasing, with the number of Mandarin speakers in Australia rising by more than 50% in just five years, making them an important linguistic demographic. Impress!ve is proud to call many of Australia’s top businesses – including Roll’d, Misha Collection and Horner – our clients. Our slogan is “Impressive by name. Astounding by reputation” and it’s one we stand by. Let’s say that tomorrow, Impress!ve reached out to those half a million Mandarin speakers, looking to make them our clients. And without a Mandarin language version of our website, those half a million Mandarin speakers have to view our website through Google Translate. Do you know what you get if you translate our slogan into Simplified Chinese (and back into English)? How many of them would trust their marketing to a company with a slogan like that? You can probably kiss all half a million of them goodbye. Not the greatest slogan our team of content marketers could come up with. …get 👏 your 👏 website 👏 professionally 👏 translated. Translation technology has advanced in leaps and bounds in just the last half a decade, but it is still lightyears away from being able to replace the accuracy, the emotion and the nuance of a skilled human translator. And whether you’re selling suits, accounting services or used cars, you need all three. While the simplest solution would be to try to do a one-for-one rewrite of each page, remember what we discussed – just because you can translate a product name into another language, doesn’t mean that people will know what you’re talking about. A proper translation is going to be a time-consuming and labour-intensive process, involving extensive consultation with both the translator and people in the target demographic to ensure that it’s understandable and relevant. Case-in-point: Marvel’s 2014 superhero blockbuster Guardians of the Galaxy became Interplanetary Unusual Attacking Team in China and Taiwan. 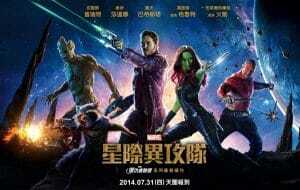 The Mandarin-language name for Guardians of the Galaxy caused a bit of a storm online when it was discovered by language site ‘The ChinesePod Blog’. Ahrefs advises that webmasters first translate, then optimise. While it’s tempting to try to do it in one hit, you risk obscuring the meaning of your site. 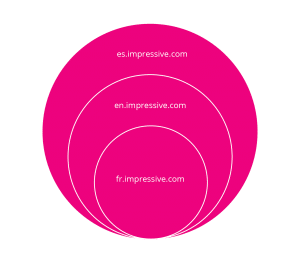 Get some good, accurate copy down in your second language, then apply the keywords you’ve identified as being both relevant to your product/service and having reasonable search volume in your target territories. Australia is one of the most multicultural countries in the world. The need for brands to be bi-, tri- and multi-lingual is only going to get stronger and stronger as time goes on. Get out ahead of the curve and reach your customers where they are with a comprehensive, multichannel marketing campaign from Impress!ve. 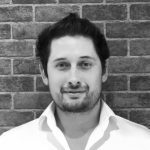 Talk to our team of specialists today to find out how we can help grow your business.